Sydney : Howard, Whyte & Coy., 1934. First edition. Octavo, half cloth marbled boards (minor chipping, stained, spine sunned), pp 112. 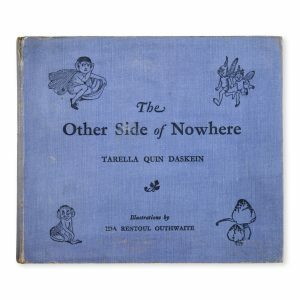 With six illustrations by Ida Rentoul Outhwaite. OUTHWAITE, Ida Rentoul and OUTHWAITE, Grenby. London: A. & C. Black, 1929. Second edition. Quarto, patterned cloth (light flecking to spine), 91 pp., colour and black and white plates, occasional light foxing, a very good copy. Muir 5599. 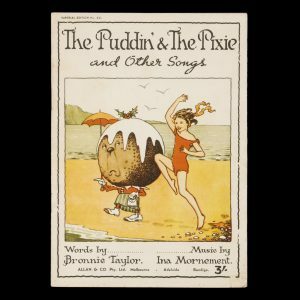 The puddin’ & the pixie : 12 songs for children. 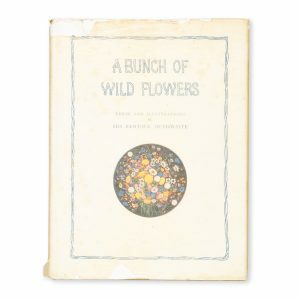 A bunch of wild flowers. Sydney: Angus & Robertson, 1933. 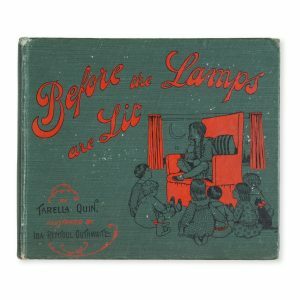 Quarto, papered boards, illustrated dustjacket with original glassine wrapper (a couple of short tears and chips), 48 pp., black and white illustrations, six tipped-in colour plates. An very good copy. First edition. Muir 5606. London : A. & C. Black, 1934. 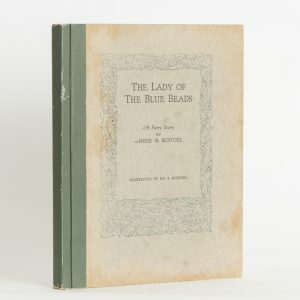 Octavo, publisher’s pictorial blue cloth boards, inscription to front endpapers, 238 pp, illustrated throughout with full-page black and white plates, two colour plates, and drawings in the text. 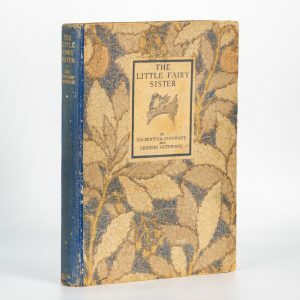 A fine copy of the first edition. Muir 1908. 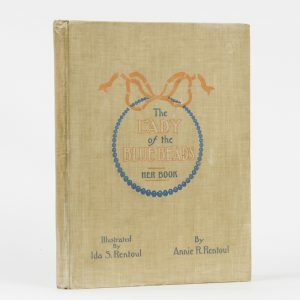 RENTOUL, Annie R. and RENTOUL, Ida S.
The lady of the blue beads. 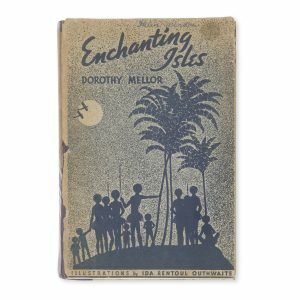 Her book, being an account of her first blue moon spent on Sun Island. 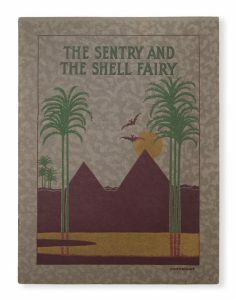 Illustrated by Ida S. Rentoul. Melbourne: George Robertson & Co., . 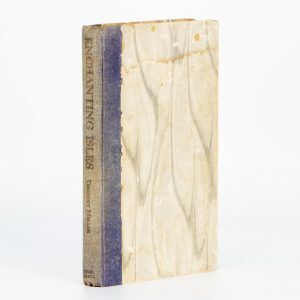 Quarto, printed grey papered flushcut boards, rexine backstrip (some soiling to front board), endpapers replaced, 102 pp., occasional foxing illustrated throughout. Muir 6342 (variant). 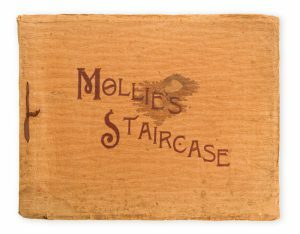 Melbourne: M. L. Hutchinson, 1906. 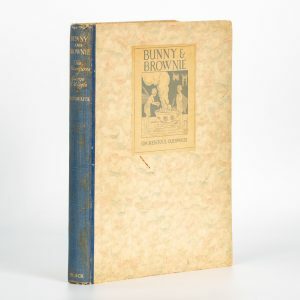 Oblong quarto, lettered wrappers (front wrapper stained), original ribbon ties, 12 black and white plates by Ida S. Rentoul, plus illustrations in text, a few pages marked and foxed, but a sound copy. Muir 6333. Melbourne : George Robertson & Co., . 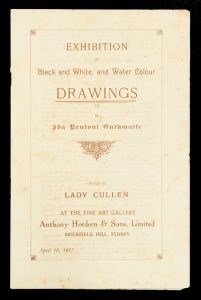 Oblong quarto, illustrated cloth boards (minor rubbing), inscription on front endpaper, pp 189. 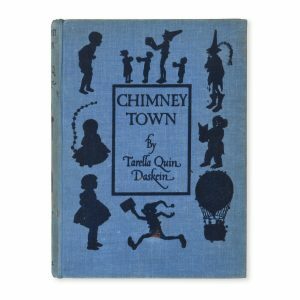 A compilation of six children’s stories with engravings by Ida Rentoul Outhwaite. Muir 1907. Illustrations by Ida Rentoul Outhwaite. Melbourne: Robertson & Mullens, 1934. Oblong quarto, illustrated blue cloth, lacking dustjacket, 171 pp., illustrated. Muir 1909. Sydney : Craftsman House, 1985. First edition. Quarto, boards in illustrated dustjacket, 171 pp. extensively illustrated. 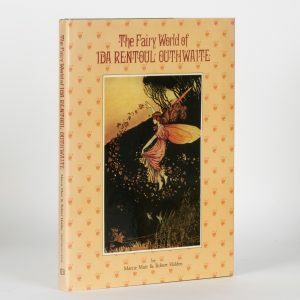 The definitive reference on Outhwaite, one of Australia’s and Britain’s most loved children’s authors and illustrators. 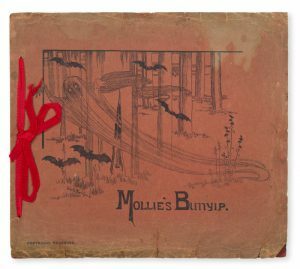 A very good copy of the first edition.